If you are a man, stop reading this now, UNLESS you are going to persuade your significant other half to come and join us for a relaxed ski and a coffee next Friday. Why? – We had a Ski Test evening last Thursday, but nobody came to test the women’s skis! 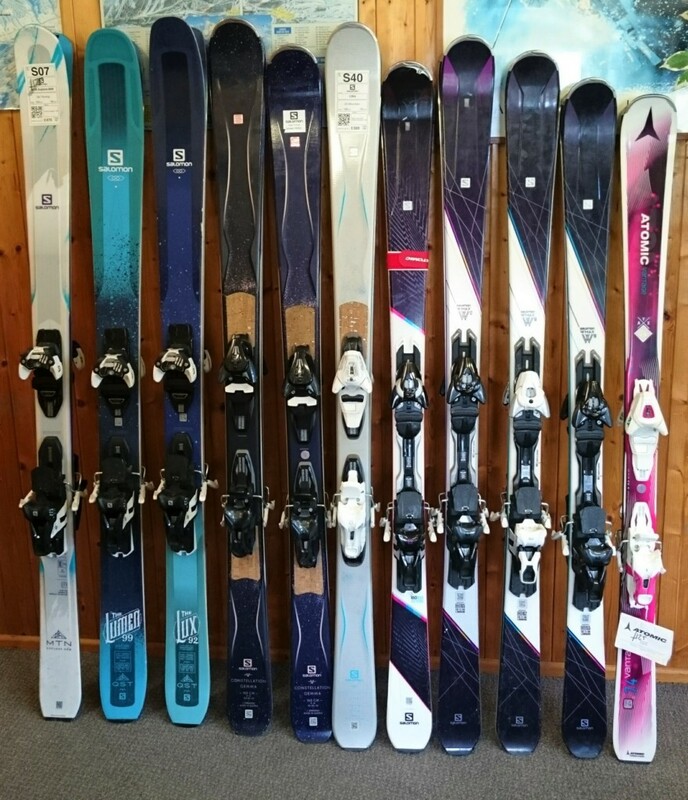 We have a selection of this year’s Salomon and Atomic skis for you to try out, and buy at significant discount if you like any of them. They range from recreational to advanced, so something for anyone who has ever been on a ski holiday. Who can come? – The evening is open to any one who has been on at least one ski holiday, you do not need to have skied with us before, and you certainly don’t need to be an expert skier. If you’ve never skied on a dry slope come and give it a go, see if you think you might like to have a lesson before you hit the slopes. This as also an opportunity to get an Open Practice Passport from us to be able to use the slope recreationally, without the expense of having a lesson. When is it? – Friday 17th, any time between 11am (after you’ve dropped the children at school and walked the dog…) and 3.00 (time to go back and collect them). Drop in for half an hour, or stay all day, whatever suits you. Do I need to book? – No, but it would help us if we have an idea of how many people to expect, so if you are thinking of coming we would appreciate a phone call or an email to let us know.